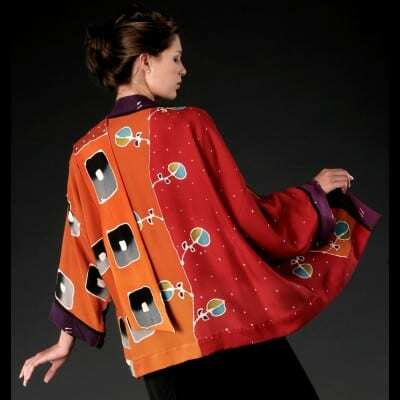 I create one of a kind handpainted silk wearables. Each piece starts out as white silk fabric of varying textures. The silk is stretched and pinned to a horizontal frame. I then handpaint the silk using fiber reactive liquid dyes and brushes. 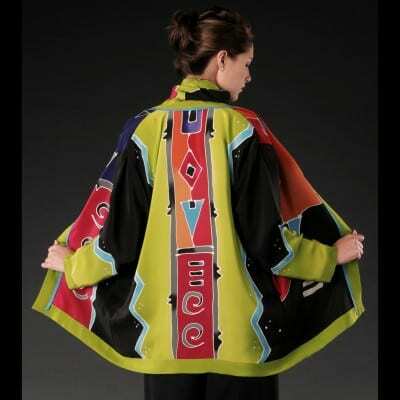 After heat setting and washing, i then cut and sew the painted silk into my own stylish, flattering fashion statements that are distinctive, comfortable and timeless.